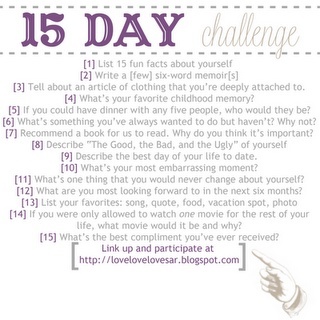 The story of a girl...: Day 2 of the 15 Day Challenge! Today is Day 2 of the 15 day challenge! Describing your life in 6 words is tough! I can't wait to hear what everyone else came up with, post a link to your post below!